Status: Deceased; Active 1970-1983. Born: 1944-07-24. Died: 2016-09-17. Birth Place: Luchin, Gomel. Graduated from Higher Air Force School in Tshuguyev, Kharkov Oblast, 1966. Graduated from Gagarin-Air Force Academy, 1976, pilot. Soviet Air Force pilot. Trained as commander for mission to Salyut 6 1975-1977. Worked in Kaliningrad. From October 1994 instructor at the Cosmonaut Training Center and from 1995, electrical engineer there. Family: Cosmonaut. Country: Belarus. Agency: VVS. Bibliography: 4452. 1944 July 24 - . Birth of Anatoli Ivanovich Dedkov - . Nation: Belarus. Related Persons: Dedkov. 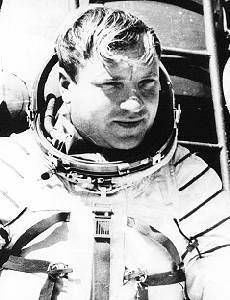 Belarusian pilot cosmonaut, 1970-1983..
2016 September 17 - . Death of Anatoli Ivanovich Dedkov. - . Related Persons: Dedkov. Belarusian pilot cosmonaut, 1970-1983..